Although the EU is quick to denounce "Euromyths", what very few people realise is that the European Union itself is based on a foundation of its own myths, assiduously cultivated to project an entirely false image of modernity. No greater myth can be found that in the commission's carefully crafted account of Europe Day, which it "celebrates" today, coincidentally alongside the Russians who celebrate "Victory Day", the anniversary of the end of what it calls "The Great Patriotic War". Claims the commission, "probably very few people in Europe know that on 9 May 1950 the first move was made towards the creation of what is now known as the European Union," thus perpetuating the myth that this indeed was the first (and successful) attempt at creating a construct, the intellectual genesis of which actually lies in the 1920s, as a reaction to the problems arising out of the First World War. What he proposed was the creation of a supranational European Institution, charged with the management of the coal and steel industry, the very sector which was, at that time, the basis of all military power. The countries which he called upon had almost destroyed each other in a dreadful conflict which had left after it a sense of material and moral desolation. Thus, concludes the commission, "Everything... began that day". Needless to say, the reality is very different. Far from the heroic Schuman standing at the centre of the "project", he turns out to be little more than an unwitting stooge, manipulated by one man who had made its his life's work to set up a "government for Europe". …ever give concrete expression to European unity. Amid these vast groupings of countries, the common interest was too indistinct, and common disciplines were too lax. A start would have to be made by doing something more practical and more ambitious. National sovereignty would have to be tackled more boldly and on a narrower front. However, if Monnet was sure that something much "more practical and ambitious" was needed to achieve the desired goal, then events in the late spring of 1950 conspired to create precisely the opportunity he was looking for. During 1949, West Germany had finally emerged to self-government under the Chancellorship of Konrad Adenauer. Under its Basic Law, passed on 8 May 1949, the new Federal Democratic Republic, or FDR, was based on a federation of the eleven highly decentralised Land governments which, on British insistence, retained considerable power, guaranteed by a constitutional court. In crucial respects the federal government, centred in Bonn, could not act without the consent of the Länder. In particular, all international treaties had to be ratified by the Länder through their legislative assembly, the Bundesrat. At the time, the new Germany, under the guidance of Ludwig Erhard, was already showing signs of a remarkable economic recovery. This raised the question of how the new nation should be assimilated into the western European community. At the Council of Europe in August 1949 Churchill had shocked many delegates by proposing that she should be given the warmest of welcomes. Two of the western occupying powers, the USA and Britain, wanted to see her continue on the road towards full economic recovery and nationhood as soon as possible. But this had provoked a deep rift with France, which wanted to continue exercising control over the German economy, for fear that she might once again become too strong a political and economic rival. 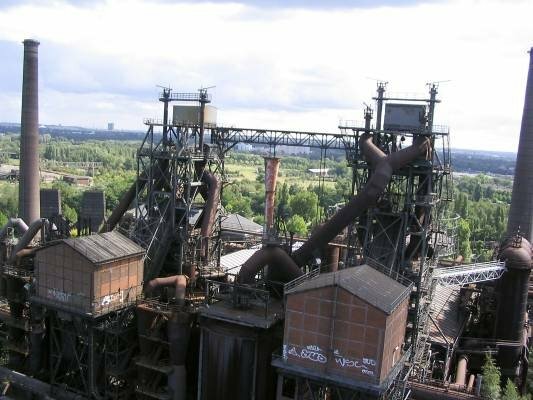 The argument centred on that old bone of contention, the coal and steel industries of the Ruhr, heartland of Germany's economy and formerly the arsenal of her war machine. In 1948, France had demanded the setting up of an International Ruhr Authority, which would enable French officials to control Germany's coal and steel production and ensure that a substantial part of that production was diverted to aid French reconstruction. It was a curious echo of France's disastrous policy after the First World War. Naturally the new West Germany was bitterly opposed to such an authority. Equally so were the other two occupying powers, America and Britain. For over two years this dispute had festered, without resolution. But in the spring of 1950 the US Secretary of State Dean Acheson finally lost patience. He issued France with what amounted to an ultimatum. 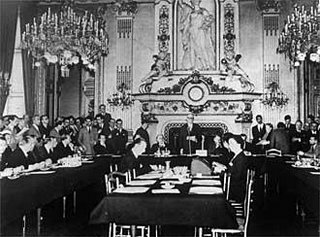 On 11 May there would be a foreign ministers' meeting in London; and unless the French could offer a satisfactory compromise proposal, the USA would impose a solution on all parties. This gave Monnet the opportunity for which he had been waiting. For years he had dreamed of building a "United States of Europe", beginning by integrating the coal and steel industries, and setting up a supranational authority to run them. This was the idea first put forward in the 1920s, by Coudenhove and Louis Loucheur, and partly implemented by Luxembourg steel magnate, Emil Mayrisch in 1926. It was the idea Monnet himself had outlined to Paul-Henri Spaak in 1941 and in a memorandum he had written in Algiers in 1943. What Monnet had in mind was that the coal and steel industries, not just of France and Germany but of other western European countries, should be placed under the direction of a supranational authority: just as over dinner in Paris in 1917 he and Arthur Salter had come up with a similar plan for the control of allied shipping. When Monnet came to commit his plan to paper, he was obviously troubled by how much he dare reveal of its real underlying purpose. Before getting to its final stage, it went through nine separate drafts. In the first, the pooling of coal and steel was regarded as "the first step of a Franco-German Union". The second opened it up to the "first step of a Franco-German Union and a European federation". By the fifth draft, this had been changed to "Europe must be organised on a federal basis. A Franco-German Union is an essential element is this". The seventh demanded that "Europe must be organised on a Federal basis". But, by the final draft, almost all this was missing. All he would allow himself was a reference to the pool being "the first step of a European federation", a vague term which could mean different things to different people. Although what Monnet really had in mind was the creation of a European entity with all the attributes of a state, the anodyne phrasing was deliberately chosen with a view to making it difficult to dilute by converting it into just another intergovernmental body. It was also couched in this fashion so that it would not scare off national governments by emphasising that its purpose was to override their sovereignty. Once his memorandum was complete, Monnet's next problem was how to get it adopted. He could not act as the champion of his own plan. As a natural behind-the-scenes operator, his style was always to act indirectly. He needed to win over very senior support in the French government. In this, he had few problems as he had constant contact with senior members of the French government. His obvious choice was foreign minister, Robert Schuman. 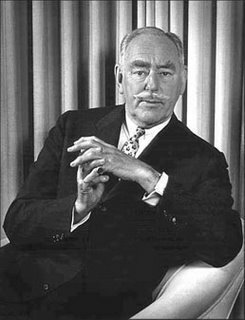 It would be he that would have to face US Secretary of State Dean Acheson in a few days time. Monnet knew that his officials had few ideas to offer. He would most likely, therefore, be receptive to some new ideas. Furthermore, as a potential advocate, Schuman had other advantages. Born in 1886 in Luxembourg to a German mother, he was fluent in both German and French, having read law at the universities of Berlin, Munich and Bonn. He had then moved to Alsace Lorraine when it was under German rule, which meant that in 1914 he had been recruited into the German army. Yet in the Second World War, when Alsace Lorraine was again part of Germany, he had, as a French citizen, been arrested by the Gestapo. He was thus a perfect witness to the need to resolve the Franco-German conflict. Alas for Bidault, who thereby missed his chance of immortality, the memorandum did not reach him. Meanwhile, Clappier had re-appeared full of apologies. Monnet gave him a copy of the memorandum and immediately decided that Schuman should see it. He caught him at Gare de l'Est, as he was sitting in a train, waiting to go to Metz for the weekend. When Schuman returned to Paris, after studying the document, he had adopted the plan wholeheartedly. It had now become the "Schuman Plan", although in reality it was not his at all. In the final analysis, he was not even committed to it, except as a device to get him off a hook. The curious thing was that M. Bidault, the Premier, was – at least, at first – not at all favourable to the Plan which, in early May, was suddenly sprung on him by his Foreign Minister, M. Schuman. And oddly enough – though this was typical of M. Schuman's furtive statesmanship and diplomacy – neither was M. François-Poncet, the French High Commissioner, nor the Quay d’Orsay, or even the French Government, properly informed of what was going on during the days that preceded the "Schuman bombshell" of 9 May. Only three or four ministers were informed about it (the Plan), and when, finally, on 8 May, the Council of Ministers met, no serious discussion took place at all. Schuman gave them a rough sketch of the Plan, and, without really knowing what it was all about, they gave it their blessing. With this aim in view the French Government proposes that action be taken immediately on one limited but decisive point…it proposes that Franco-German production of coal and steel as a whole be placed under a common High Authority, within the framework of an organisation open to the participation of the other countries of Europe. The pooling of coal and steel production should immediately provide for the setting up of common foundations for economic development as a first step in the federation of Europe. After describing how "the solidarity in production thus established will make it plain that any war between France and Germany becomes not merely unthinkable, but materially impossible", he went on to say that this would help simply and speedily to achieve "that fusion of interest which is indispensable to the establishment of a common economic system". This was the "Schuman Declaration" which now occupies pride of place on the EU's Europa website as the document "which led to the creation of what is now the European Union". Yet, according to one historian, although the plan was immediately greeted with great excitement by the press, the curious thing was that literally nobody knew exactly what it was about, not even Schuman. 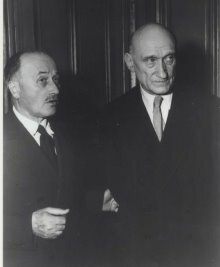 The whole thing was an elaborate charade, a meticulous coup by the puppet-master extraordinaire, Jean Monnet, to a plan he and his colleague Arthur Salter had devised all those years ago, to deal with a different war and an entirely different geopolitical situations. But, with the backing of the commission, the myth endures. Hilariously, though, when I addressed a group of 150 sixth-formers recently, on the history of the European Union, not one of them knew that 9 May was "Europe Day". For all the effort the EU has expended on cultivating its core myth, it has failed to have any decisive impact. It is truly an idea whose time has gone. The core of this narrative is drawn from The Great Deception by Christopher Booker and Richard North. A reason to support the EU? Could we not all play that game? Why does he (try to) deceive us? Have they thought this through?